Here are the top signs you should consider refinishing your hardwood floors. Your hardwood floors can look good and serve your Bay Area home for many years if you properly care for them. Refinishing is a great way to accomplish this. Hardwood floor restoration and repair can revive dull, tired floors. So how do you know when it’s time to refinish your floors? 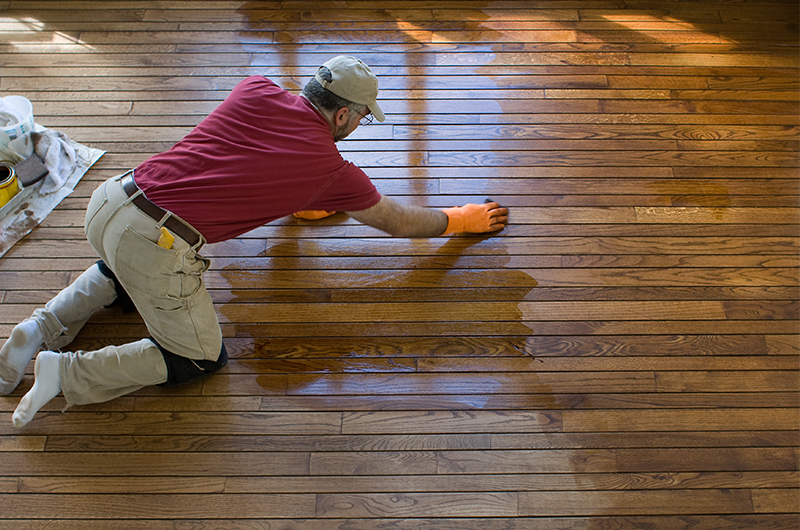 Children and pets are good indicators of whether you should refinish the floors in your Saratoga home more frequently than generally recommended. Pets tend to scratch floors, damaging them prematurely. Children tend to scratch as well as spill liquids on them. Pay close attention to the condition of your floors in areas where your pets and children frequent. 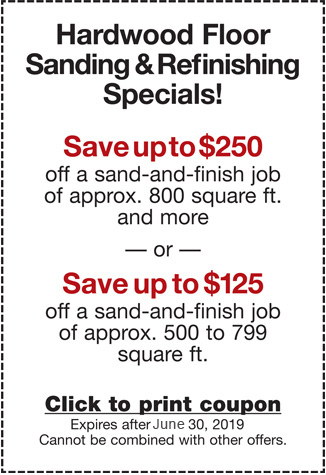 Consider getting the floors refinished if you notice scratches and wear. If your floor’s finish has a faded or significantly dull appearance and light scratches or an uneven surface, you can get by with refinishing as opposed to replacing the damaged floor. The floor can be screened (a method of roughing up the current finish) then a new finish is applied. The small scratches can be cleaned and filled in with products to restore the floor’s beautiful luster. After installation, hardwood floors usually fit together seamlessly. However, after repeated exposure to heat, cold, and moisture, the floorboards can expand and contract to result in gaps and cupping. Gaps occur when the boards shrink while losing their moisture content. Cupping occurs when moisture makes the wood expand, leading to the edges of the boards being higher than their center. If you spot any gaps or cupping, you should have your floors refinished to tighten the gaps or replace the few damaged boards. Minor surface damages that have only affected the finish can be corrected with the application of a maintenance coating without having to sand down to the wood. Deeper scratches or gouges will require more serious work. If your hardwood floor has deep gouges or many visible scratches, you should opt for full refinishing to prevent further deterioration. There’s a protective sealant on hardwood floors that protects them from liquids that fall onto their surface. If the coat wears off, your floors can experience water damage that causes warping, cracking, and the need to replace full sections of your floors. You can test a part of your floor by pouring some water on it. If the water forms beads, your floor is in good condition. If it slowly soaks into the floor, the finish has started wearing off. If it soaks fast leaving behind a dark splotch, you’ll need to refinish the floor as soon as possible. If you require more information on refinishing and taking care of your hardwood floors, contact Elegant Floors. We’ve proudly served Sunnyvale, Los Gatos, Palo Alto, Los Altos, Menlo Park, and Mountain View for over 20 years. Our experienced refinishers use the powerful Atomic Dust Containment System to provide hardwood floor refinishing that’s cleaner and faster than traditional refinishing. We also offer high-quality hardwood floor installation, repair, and sales. If you’d like to get a hardwood refinishing estimate or more expert advice, simply Click Here or call us at 650-961-1339 or 408-773-8624.